If we ever meet in real life and you make the mistake of telling me that you’re about to travel, you should know what’s going to happen. I’m going to pull you aside and start speaking very intensely while counting things off on my fingers. I’m probably going to send you a follow-up email in which I reiterate everything I told you in that conversation. I JUST REALLY WANT YOU TO HAVE A GOOD TRIP AND THAT’S A LOT EASIER IF YOU HAVE THE RIGHT STUFF. These are seven items that I sweaaaaar by. They’ll greatly improve your trip and I’m not going to shut up till you get them – and they’re helpful no matter how long the trip or your destination! If I find out that you’re about to take a long trip and don’t have packing cubes, I’m going to try to lend you mine. I AM 100% SERIOUS. More than anything else on this list, these little buddies will change your travel life. You know how everything just barely fits in your suitcase? And then you pull your jeans out from the bottom and now you need to spend 20 minutes re-rolling and stuffing everything? That doesn’t happen when you use travel cubes. They’re particularly great if you’re backpacking, staying in shared hostel rooms, and trying to dig things out of your bag very quietly because everyone is sleeping. Travel is 80% awesome, 20% dirty/sweaty/exhausting (percentages may vary, depending on your destination/type of transport). No matter where you’re going or how you’re getting there, you probably won’t feel quite as fresh as you’d like upon arrival. This is why face mist is The Actual Best. I swore by it on my 9,000-mile road trip and I swear by it for long flights. 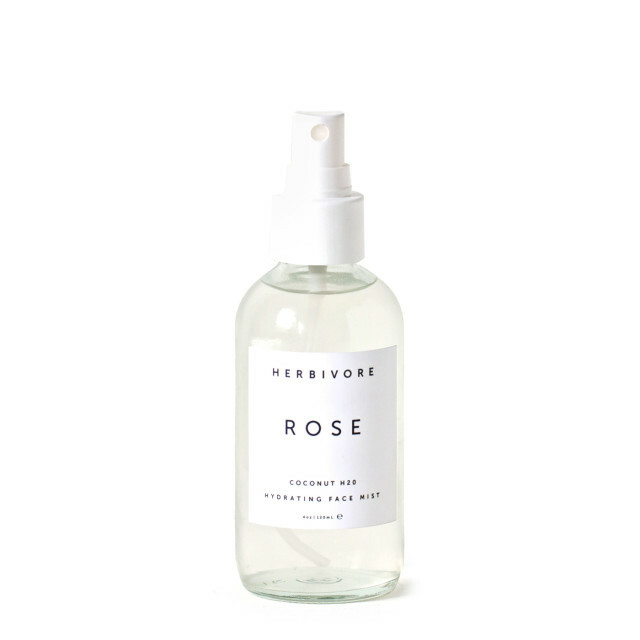 If you’re traveling by land and don’t need to worry about the three-ounce rule, this $7 face mist is lovely. If you’re flying (or prefer to DIY) add a few drops of essential oil to a tiny, empty spray bottle and fill it with distilled water once you get through security. One of the biggest bummers about travel is worrying about thieves and pickpockets, followed closely by the bummer that is hauling a purse or bag everywhere. Which is why this scarf thing is so awesome! No annoying bag! (Probably) no pickpockets! If you don’t feel like shelling out $39 for this scarf, here’s a video to DIY your own! Now, I’m sure my glamour puss travel friends would disagree, but if you are even vaguely laid back in your approach to travel style, these flip flops are for you. 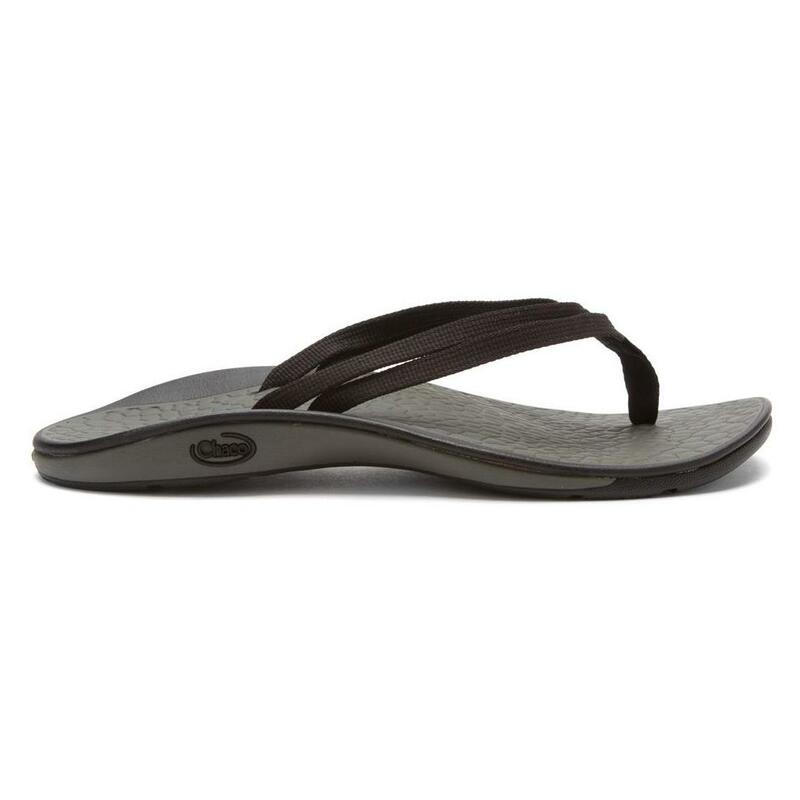 They have high arches so you can wear them forever without getting that sore, squashed flip flop foot feeling. They have decent grip so you can wear them on wet surfaces; they’ll dry nicely without getting smelly or weird. They last forever. They’re sporty without looking too … river raft guide-esque. I’m on my second pair in 10 years and I’ve worn them through 15+ countries! 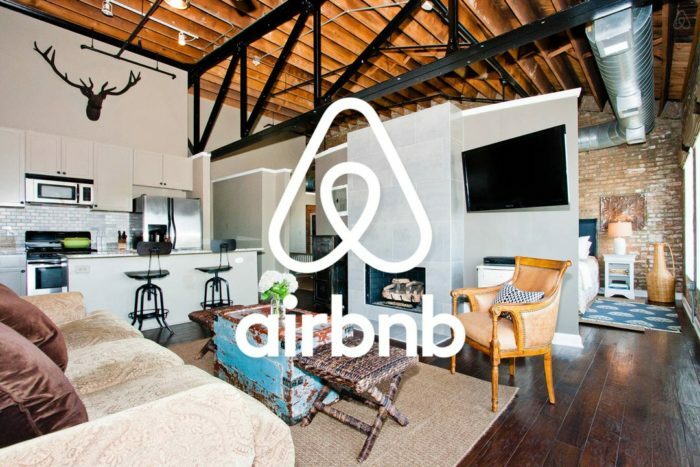 Now, vacation rentals are not a ‘travel tool’ per se, be hear me out. If you’re going to be in a city for more than one or two nights, staying in a homey space, in a real neighborhood, with access to a kitchen will dramatically improve your trip. You’ll get way more space for your travel dollar. You’ll spend less money eating out. You’ll see what your host city really looks like – not just the chain restaurants and other hotels around the airport. Your hosts will give you insights into the city you wouldn’t otherwise know. If you’d like a bit more luxury in your travel, this face wash bar is lovely (and you won’t have to worry about the three-ounce rule) and these face wipes are classic. 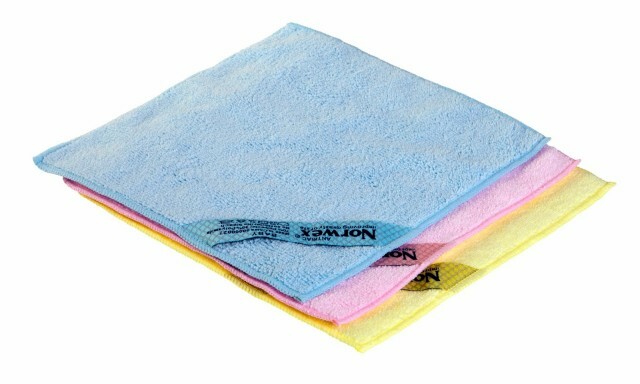 But no matter how easy those are, they’re not as easy a microfiber face cloth. It removes all dirt, oil, and makeup without any soap! One less thing to pack! I like to tuck a few dryer sheets into the mesh pocket of my suitcase, to keep everything smelling nice. You can also use them to de-static your hair and clothes or wipe yourself down after the beach. They’re weirdly good at getting rid of sand! 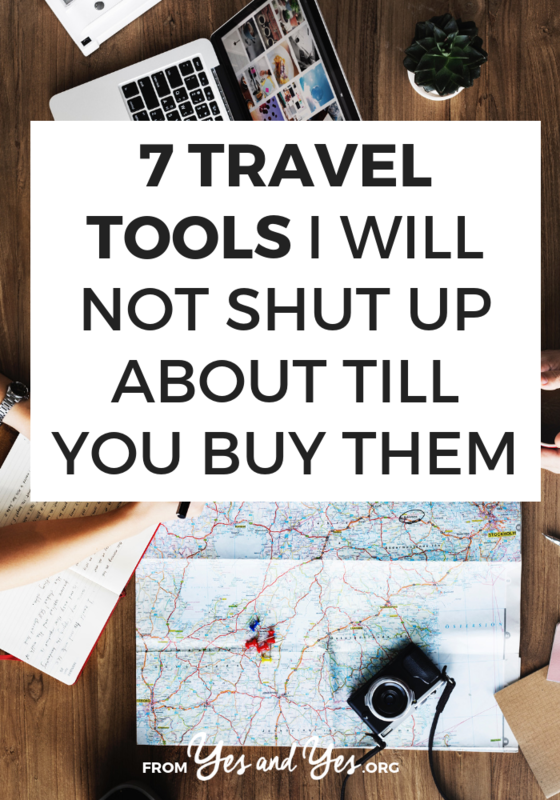 But I want to know which travel tools you swear by! Leave links in the comments! And, you know, when I go travelling. Sorts the clean from the dirty, the underwear from the tops and the stuff at the bottom from the stuff at the top. You won’t find me going anywhere without any time soon. I KNOW. I’ve seriously tried to force friends to borrow mine. Travel cubes- absolutely the best! Standard gift for anyone that does any sort of travel. Everyone loves them on nice they have tried them. Organizes underwear, tops, etc. The ones with two sides are great to pack one side and store souled in the other. Also love the flat packing board for pants. Have two sizes. Love the looks of that face mist, but not able to find the one you picture. Where can it be found? The one in the picture is at Marshalls. It’s about $5. AMAZING list! Thank you for sharing! YES to the Mario Badescu facial mist you linked to! I love that stuff, and it doubles as a makeup setting spray, which is awesome. YES. I am a freak about the packing cubes too. I will not shut up about them because I think they are the best things ever for travel. High five for putting that at number 1!! THEY ARE SO IMPORTANT I WILL SHOUT IT FROM THE ROOF TOPS! Those Norwex reusable/washable cloths also work AWESOME for electronic screens! I’m going to buy a second set to use for face cloths! Also clear compression sacks that you can roll the air out of. Rolling things helps quite a bit but just in case you need a little more room. Also bring a gift with to for someone you may be visiting that room left in your back will be enough for souvenirs when you come back! Love that tip about bringing the gift! Face mist is a godsend for road trips! I’d add a car charger for your phone, the Waze app, and a great playlist. Yes! What’s your playlist app/platform of choice? I absolutely love my PStyle (http://www.thepstyle.com/). I’ve used it while living in a van in Australia (hesitant to squat with all the creepy-crawlies about). I’ve used it with sketchy squat toilets in Thailand (no more swatting away mosquitoes while trying not to pee on my foot!) I’ve used it in the back country in West Virginia and with the weird seatless toilets at the camps on a trek in the Colombian jungle. It’s the best. Whoa! Fascinating! I didn’t even know that existed! We’d happily send you a sample if you’d like to try it out! I would love to try it…. WHAT this is so great!!! I’ve been seriously considering doing a WWOOF-style post-college thing, and if that happens, I’m bookmarking, printing, and laminating this list. Also, the tip about the microfiber face cloths blew my mind. I hadn’t even considered you could clean your face without water–even though I knew that oil blotting paper was a thing. You do still have to get them wet – you just don’t need soap! I love my chaco flip flops! I bought them in 2012 and, other than the old tennis shoes I mow my lawn in, they are literally the only shoes I wear during non freezing weather. They are awesome. I went on a month long back packing trip to Vietnam where we did everything and went everywhere and the only shoes I took were my chances. So smart. So versatile. So easy. I also love cetaphil normal face cleanser. You do not need water and all dermatologists i have known prefer it. So nice for planes, trains and automobiles. Camping, etc. Aren’t Chacos AMAZING?! Whenever I see people wearing anything else, I want to shake them! I have 5 of the zipthongs! I’ve glued my black pair several times, including for my trip to Costa Rica in 2 weeks! They give me the support that other flops don’t! ❤️? HOT TIP – I just picked up a black travel scarf/wallet for $14.99. I don’t even think it was on sale. Can’t wait to use it! Wait, I forgot to say where I got the scarf — Bed Bath & Beyond! Ooooh! Thanks for the tip, Jess! I love that scarf, especially for plane rides! I play music from my phone on the plane, and it’s always falling out of my lap. The scarf is a perfect solution! Those that use essential oils can take a small washcloth or even cut a piece of washcloth and place a few drops on it. Let dry for 10 minutes before placing in your bag as a freshener! Bar shampoo from Lush. Fels-naphtha for laundry soap. Merino wool shirts. Anything from Arc’teryx urban line. Their clothing is really well designed, doesn’t wrinkle, is versatile, and dries fast! I can’t shut up about it. 🙂 I want to test out that face soap you recommended! Yes! I love bar shampoo – doesn’t spill on anything! What style of Chacos are those? OK. You are officially a genius. Dryer sheets!! Chaco flip flops! I’m a former flight attendant. I know what I’m talking about. Essentials: clear TSA-approved makeup case, and pretty travel bottles that don’t make me feel like I’m living out of a recycling bin. Found all of this at http://www.muji.eu/pages/online.asp?Sec=18&Sub=78 after very long searches (they also have travel cubes) and am totally obsessed. Ooooh! I’ll have to check those out! It can be worn a million different ways AND is a great pillow or blanket for a flight. It works amazing as a scarf and I also wrap it around me when I get cold. Now I just need to Macgyver a way for it to have a pocket. We agree on the packing cubes! They are getting easier to find (and at better prices) since they are becoming so popular. One thing I would add to this list: Laundry Detergent sheets. They are found in the laundry aisle of most supermarkets, are practically weightless, and won’t spill. I use them for hand laundry or if I am desperate and need to run a washer load somewhere. Happy Travels! ? I love my travel cubes!! I have two sets and have bought others as gifts. I bought them on Ebags.com but you can find them on Amazon now. 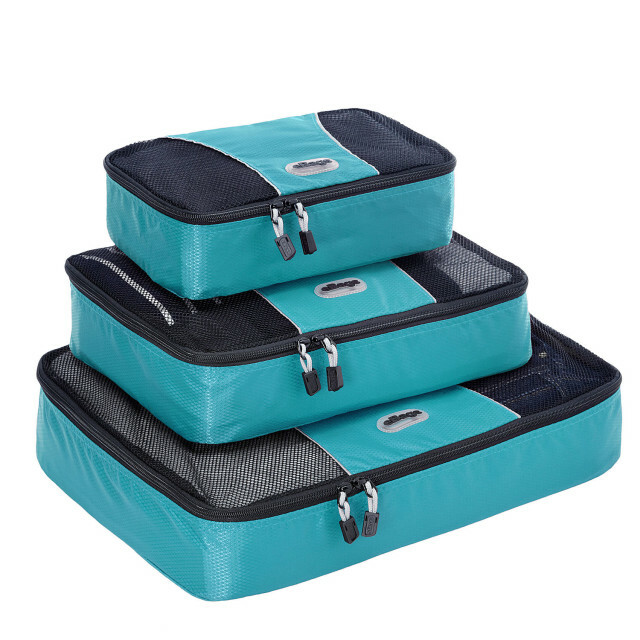 Eagle Creek have a great selection of packing cubes and even recommends sets to fit into their cases. ‘No Jet Lag Pills’ – they are all natural and they really work. I’m like you, I try to make my friends take mine if they are going to be traveling. Sarah! I bought the packing cubes on your advice and just got back from a trip to Vietnam where I tried them for the first time…they’re BRILLIANT. No more having to reach shoulder-deep into my backpack to dig around for something and then going nuts because I can’t find it until I get home. Consider my life improved. Thanks for the recommendation! RIGHT?!! They’re *always* great but they’re particularly great for backpackers! Yessss! I’m on a personal mission to make every traveler in the world use packing cubes. E-V-E-R-Y-B-O-D-Y. 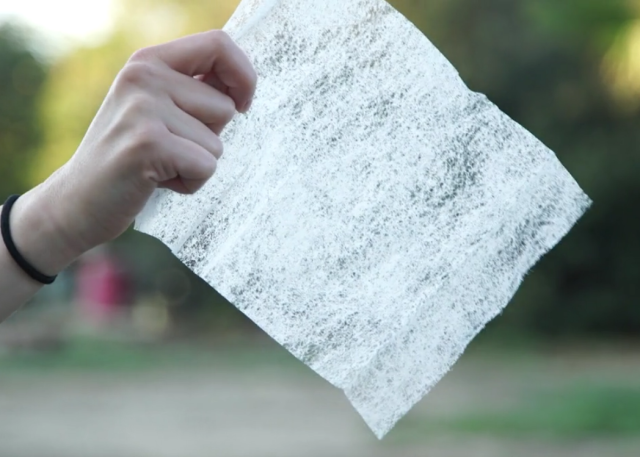 I hadn’t thought about using dryer sheets! Thanks for the great post! the nose can get missprogrammed by the marked vs nature, “dryer sheets to smell nice” dryer sheets are toxic cancerigenous unwanted chemicals. I used vaccum sealed bags on a recent trip which were fantastic. Customs opened my bag all my smalls in a clear bag making checking bags a lot more painless. Packing cubes will be my new go to packing essential. I always bring a travel towel, and I always use it! I bought mine from REI ages ago. I don’t leave home without cordless earbuds-Jaybirds have been great. Guaranteed for life if stop working. Also an audible books-audible.com is great or local libraries have on-line systems to download books. Also take a wall plug extender that takes more than one USB plug in. Never enough electrical outlets in hotels to recharge. Oh, thanks for the head’s up on those headphones! 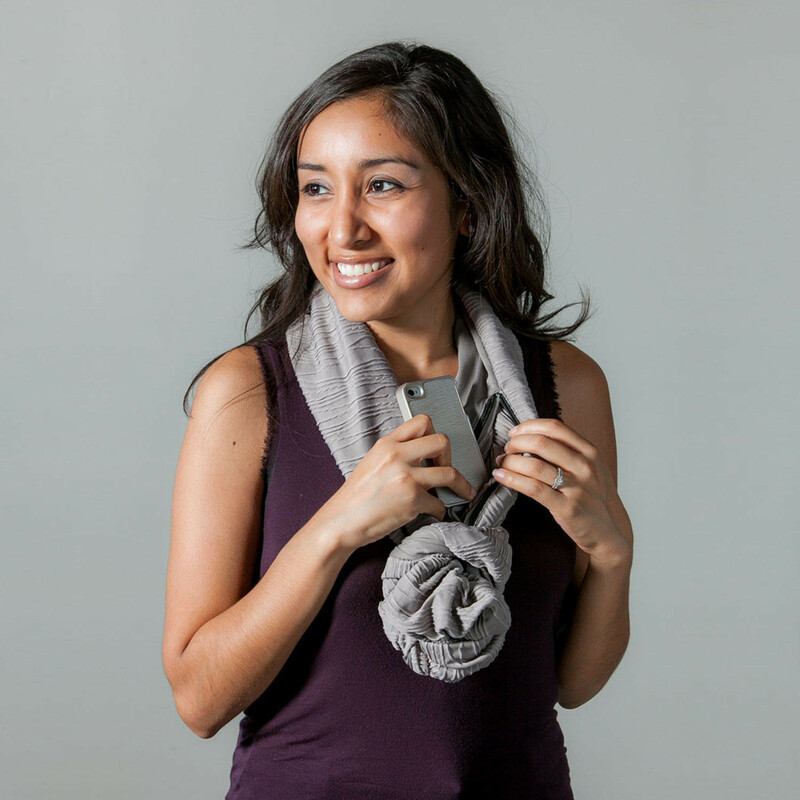 Thanks for the tips, love the travel scarf, looks and functionality at its best. I always take a pair of Smart Wool socks and a beanie with me on long flights (8+ hours) to keep my feet and head warm. Thanks for the tips, one thing that drives me crazy at the (UK) airport security is that I need my inhalers that count as liquids, on me all the time on the flight plus ear plugs, travel sickness bands etc. But having to take them in and out of the ‘liquids bag’ which then has to be stuffed back into the case and then sometimes I have to put my handbag also into the case because there’s no more luggage room on the plane means I am lumbered with all that in my hands which makes life difficult and stressful- any tips for a better plan? I wasn’t convinced about the packing cubes until I got a set. They can hold SO much. This is one purchase that I do not regret. Right?! I will never stop spread the gospel!!! Thanks for the tips, I agree about the packing cubes. I have always been a great packer but they help in ways I didn’t think possible. One of my NOT TO FORGET is a 6 way power strip. You never have enough outlets! Also, remember that motel TVs usually have a couple of USB ports you can use to recharge.